Greetings from Stivers Ford Lincoln's vehicle parts division. As the brand you can trust in your pursuit of the correct auto part, we are equipped with all the things necessary to make sure your repair or replacement service wraps up in an easy and efficient fashion. Going a stride further, doing business with our team of respected Ford components experts means also being able to lean on a wealth of insight and experience you cannot find anywhere else. Whether you could use a bit of guidance on the right component for the job or some added perspective in regard to how to get things into place, you can place your trust in the fact that the Stivers Ford Lincoln crew of parts experts will be ready to assist you through each phase of this process. Interested in discovering more about why buying OEM products from Stivers Ford Lincoln is always the best call? Then, now is a great time to take a deeper look into the perks of tying in your parts needs with the expertise served up by the friendly and helpful crew of gurus available in the Stivers Ford Lincoln parts division. In order to provide you with a comprehensive overview of the OEM distinction, it makes plenty of sense to first bring you up to speed with precisely what "OEM" means. To make a long story short, only parts made exclusively by Ford, the original manufacturer, are permitted to lay claim to this superlative. 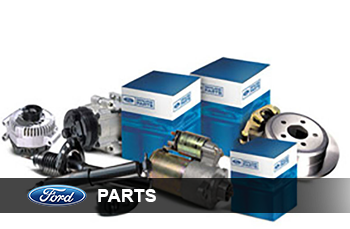 Despite the fact that other aftermarket businesses might attempt to pawn off their offerings as being of the same level of performance and durability as legitimate OEM parts, the reality of the situation is the OEM part certification is a classification set aside solely for parts that conform to Ford's stringent quality and performance guidelines. Developed Around Ford's Arduous Quality Standards – Ford OEM components must undergo rigorous testing and inspection before ending up in your hands, so you know that quality and performance will never be a concern with these offerings. Confirmed to Handle Your Specific Repair Needs – While third-party manufacturers might propose to understand the inner functions of the Ford process, there is simply no way around the fact that only certified OEM parts from Ford are designed precisely with the specific features of your car in mind. Created By the Men and Women Who Constructed Your Ford Automobile – The very same group of men and women that fashioned your preferred Ford vehicle is also responsible for the research behind the certified OEM components available here at Stivers Ford Lincoln, so it stands to reason it is definitely a good idea to choose parts that come directly from this group of licensed Ford parts development gurus. Your Happiness Starts with an Outstanding Warranty – Ford is committed to giving you some reassurance, so you can rest easy knowing OEM parts from this company come with a customer-centric warranty that shields you and your vehicle from unexpected issues and concerns. To put everything in straightforward terms, buying OEM parts straight from Stivers Ford Lincoln is the best way to be certain the project gets done right without any extra effort. After reviewing all of the things that make OEM parts rise above their third-party alternatives, it is time to address the next important matter on your mind: Does Stivers Ford Lincoln have the right part for my Ford? Without a doubt, the answer to this query is clearly yes! As you can see, when it comes to offering the people of Waukee and Des Moines with access to qualified Ford OEM parts, it is obvious Stivers Ford Lincoln's inventory of Ford OEM parts is without peer. 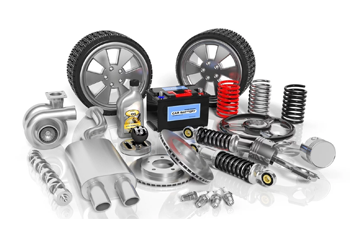 Now that we have gotten to this point, you are clearly ready to start working toward an effective car repair by purchasing the required OEM part for the project at hand. To start you off on your best foot forward, you have a few options. First, you can plan a visit to the Stivers Ford Lincoln parts department and have one of our trusted Ford consultants guide you through all of the particulars of this crucial purchase. Should the OEM part you need be available in our parts department's inventory, you can take it home with you on the same day as your trip to Stivers Ford Lincoln; for all other acquisitions, we will be more than happy to get an order in with Ford and have the part delivered to you in the most convenient fashion available. Should you decide to do things digitally, take a few minutes to look over our quick and easy OEM parts order form located on this page. Once you do this, a member of the reliable Ford OEM parts gurus will give this request a thorough review and reach out to you to make sure you obtain the part you require in a hurry. Thanks again for stopping by the Stivers Ford Lincoln parts webpage, and we cannot wait to give you a chance to utilize the best assortment of reasonably priced Ford OEM parts near Des Moines the next time you find yourself facing down an automotive repair task.